Fig. 1 Members of our research team were searching for relict plants. Fig. 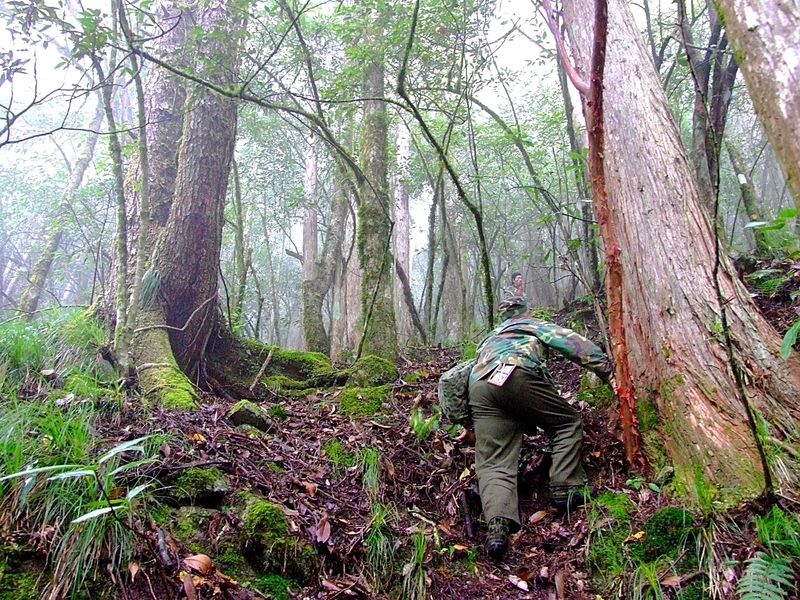 2 A forest dominated by a relict plant species Taiwania cryptomerioides in the Gaoligong Mountains on the border between NW Yunnan and Myanmar. Our curiosity regarding how and why many Paleogene-Neogene relict plants have survived in East Asia grew from field observations made in the 1990s. Since then we have collected field data and strived to understand the ecology of the relict plants that thrive in East Asia, especially in subtropical China and warm-temperate Japan, while they died off in Europe and North America before and during the ice ages. 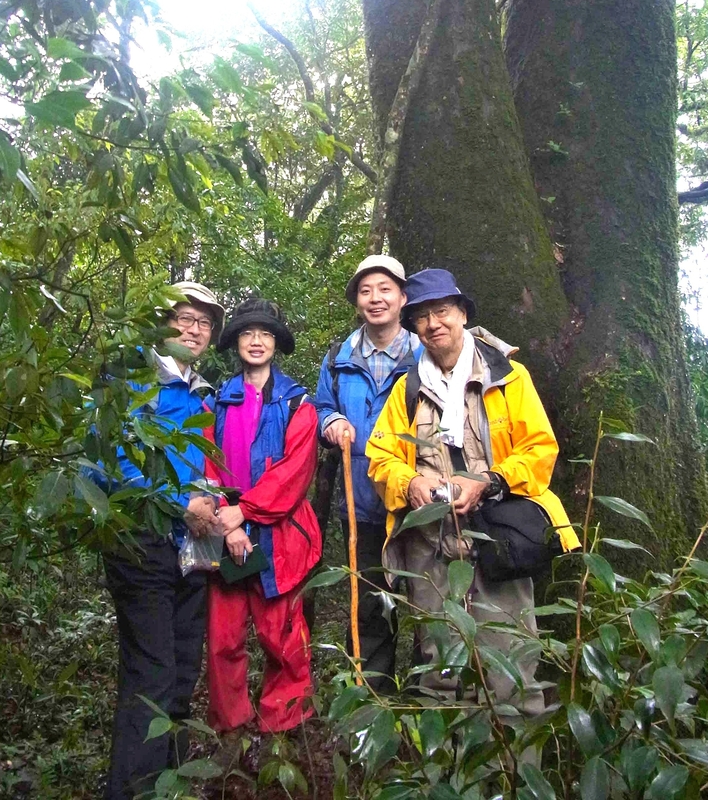 After we published a number of research papers on the field ecology of the most important monotypic paleoendemic plant species and their forests as exemplified by Ginkgo biloba, Metasequoia glyptostroboides, Davidia involucrata, Tetracentron sinense, Cathaya argyrophylla, and Taiwania cryptomerioides, we have recognized the importance of discovering why it is that many relict plants survive solely in the wilds of East Asia. Later I communicated with Dr. Jordi López-Pujol, who encouraged me to build an international research team to extend the study. 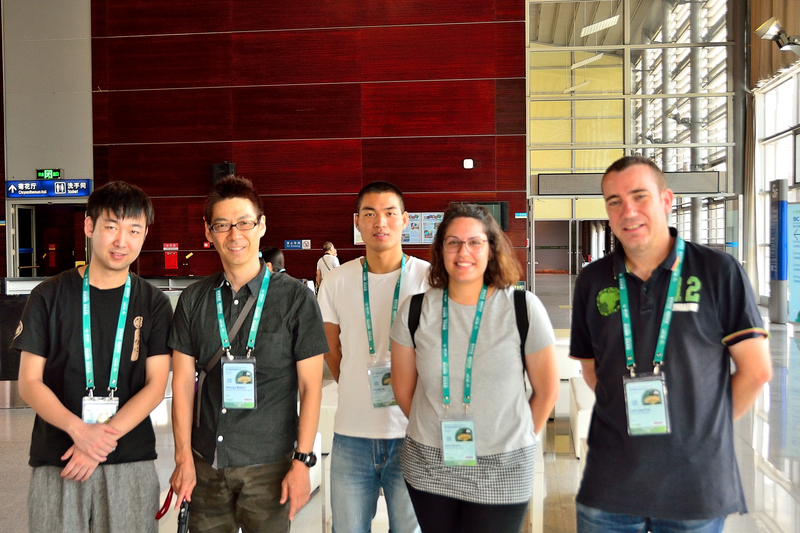 The coauthors are plant ecologists, botanists, GIS specialists, paleobotanists from China, Japan, Spain, the USA, the Netherlands, Vietnam, Thailand, Russia, and Germany. After we made a list of the relict plants of East Asia that we planned to study using Ecological Niche Modelling, we began by obtaining data on fossil records (3,192 records of fossil localities for 99 of the 133 genera of relict plants treated in this paper) and phylogeny studies, to confirm that the species we selected are actually relict plants. The greatest efforts our team made were to collect the present distribution data for nearly 80,000 geographic locations of all the 442 relict plant species growing in East Asia, including 15 countries. Though the collection of data could become tedious to one working in a herbarium, even dangerous in remote mountains, nothing could reduce our motivation or our great curiosity. Our study is the first one to identify the long-term climate stable refugia that we have located in southwestern China and northern Vietnam, and to provide a conceptual model of the survival mechanisms of the relict plants of all East Asia. We believe our paper elucidates why many relict plant species have survived the ice ages in East Asia. Fig. 3 Members of our research team after some field work was done. Fig. 4 Members of our research team after a productive discussion in a conference. Cindy specializes in forest community ecology, relict, endangered and rare plant species’ survival mechanisms. She has a long-standing interest in forest dynamics, interaction between plant species, also species and their environment. 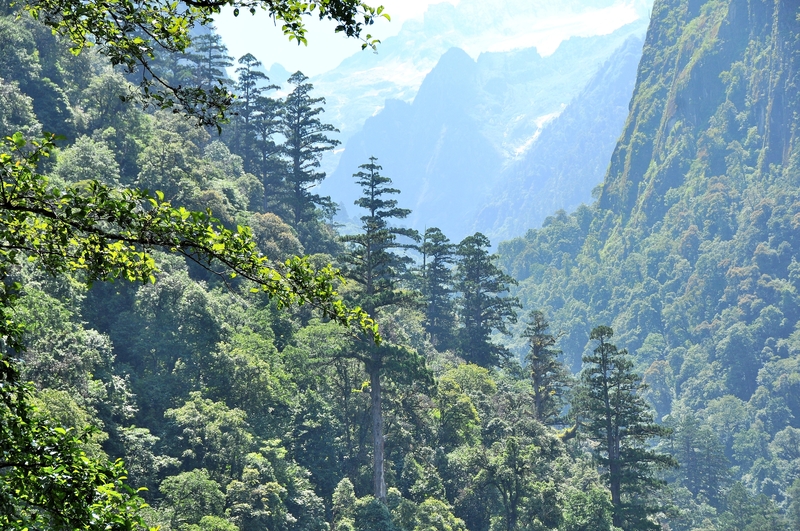 Her research concentrates particularly on the mechanisms underlying the structure and dynamics of subtropical forests and sustainable development of forests in southwestern and south-central China. Her specialization has given her special strength to understand biodiversity, ecosystems and environmental sustainability in this geographical zone.